" According to the grace of God given to me, like a skilled master builder, I laid a foundation, and someone else is building on it. Each builder must choose with care how to build on it. For no one can lay any foundation other than the one that has been laid; that foundation is Jesus Christ." What is The Living Waters Fund? The Living Waters Fund is an exercise in Christian stewardship. Christian stewardship is all about the grace of God and our gratitude to God. Christian stewardship involves the faithful management of all God's blessings -- all that we are and all that we have, including our accumulated, appreciated, and inherited assets. The Living Waters Fund exists as a witness of our love and gratitude to God for all of God's blessings and as a legacy to bless future generations. Why should I give to The Living Waters Fund? Your gifts to The Living Waters Fund go to a permanent endowment fund. That means that your gift remains with The Living Waters Fund in perpetuity. The income from your gift is used to support excellent ministries like A Special Time (our adult respite program), the Living Waters Preschool, and other missions beyond the annual budget. Your gifts to The Living Waters Fund help us remain a local church that is a blessing to others as a vibrant center of worship, education and outreach. Who manages The Living Waters Fund? We have formed a strategic partnership with three community foundations to managed the assets of The Living Waters Fund and to help us grow this endowment: Lutheran Community Foundation, Gulf Coast Community Foundation of Venice and Community Foundation of Sarasota County. These community foundations have an excellent history of managing charitable assets. The Living Waters Fund is pooled with similar funds-at each of these foundations-and is invested to achieve greater investment returns. In addition, a portion of The Living Waters Fund is invested in the Beerbower House that makes possible the Guest Pastor program at Living Waters. 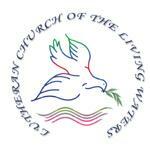 How can I give to The Living Waters Fund? For assistance giving to the Living Waters Fund, please contact Mike Poe at (941) 625-8090 or treas@livingwaterslutheran.com.